For previously scheduled inspections, fill out the inspection agreement below and submit online. For convenience, JW Home Inspection customers can fill out the inspection agreement below and submit online. A copy of the completed inspection agreement will be sent to the JW Home Inspection staff as well as your inbox. This contract is for our customers with a previously scheduled home inspection only and is legally binding. Please note: This will NOT enable you to schedule a new inspection. If you need to schedule an inspection, please contact us first or call us at 616-889-0043. This is for our clients that have already scheduled a home inspection time and would like an easy way to submit an official contract to lock in their home inspection time and cost. What if I haven't Scheduled a Home Inspection Yet? Don't fill out this form yet... call us or use the contact form to schedule a home inspection during one of our available time slots. Once that step is completed, you can fill out this form to lock on your home inspection agreement. We handle all of our clients data with the utmost care and never ask for a credit card or other financial information on the site or via email. What If I Want to Mail a Contract to You? walls or ceilings or other barriers. available for $2,500.00. WE ARE NOT CODE INSPECTORS! testing itself. JWISM does not do mold inspections unless they are contracted to do so. or condition of the systems or components inspected. provided as a courtesy only and do not represent or form a part of the inspection. supercedes any oral discussions between the client and JWISM. remedy against JWISM or its agents or employees. third parties and may not be relied upon by third parties. One Year Guaranteed Termite Inspection. JWISM can only be held responsible for the cost of the Home Inspection service performed only. treatment only if found within one year. We offer no warranty on a regular $75.00 termite inspection. Rodents, bats, mice, etc. 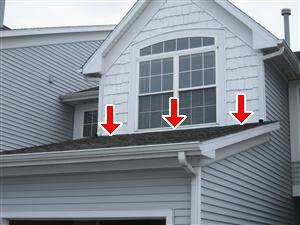 are not inspected for in a general home inspection. from date of inspection. This applies regardless of home purchase status. Note: A 3% Convenience fee applies to Credit/Debit Card payments. By typing/entering your full name below and hitting "Accept Contract and Submit", you hereby fully accept the terms of this contract, a legally binding document in the state of Michigan. At the discretion of JW Home Inspection Services Of Michigan, you may be asked to physically sign the contract form on or before the time of inspection. Your IP address will also be recorded for security and additional verification purposes.